On Friday evening, October 21, 2006 Rob and I conducted a star party for a wonderful group of Daisys' and Brownies' at the Observatory. We were surprised by the turnout of young people and parents, it was great! 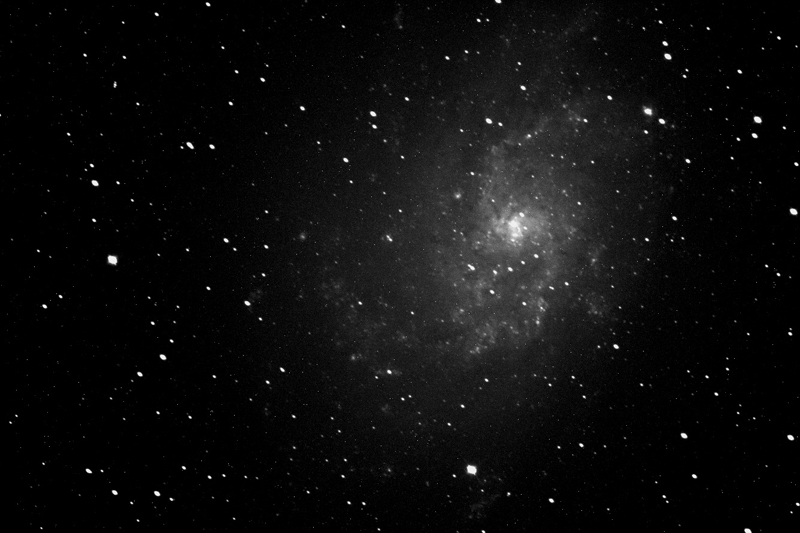 One of the things we did was interaction at the computer/telescope and several of the girls took control of my imaging system and got a few shots in. Well, they had little interest in going home without the images and asked me to print them before they left. SMO isn't set up to do this and it's never come up before, so I told them to check my website and I would post the images here the next day. Okay young ladies, here you go... it's just before 7:00AM on Saturday morning and I've worked with your shots and am uploading them. I expect to hear from each of you so I'll know you got them and if you still require a print I can send you one... Each of these shots was around 3 minutes duration with a simple dark subtract. 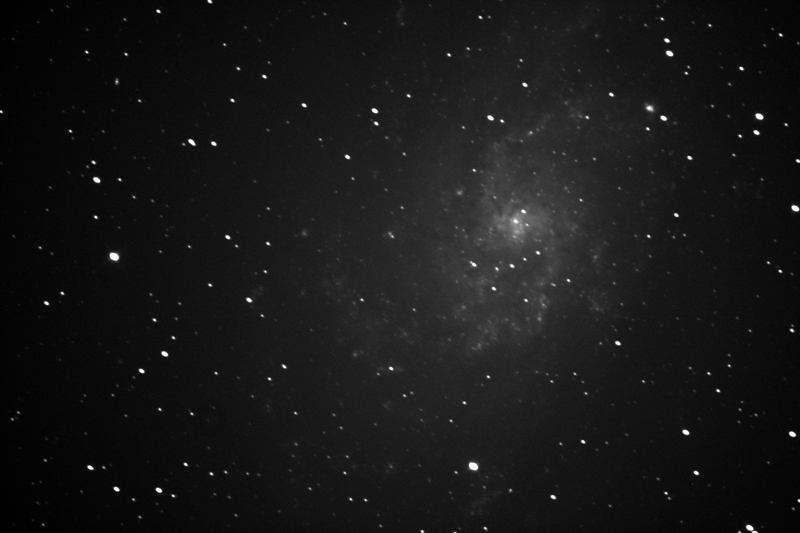 M33 is a galaxy also known as the Pinwheel in the Constellation Triangulum. 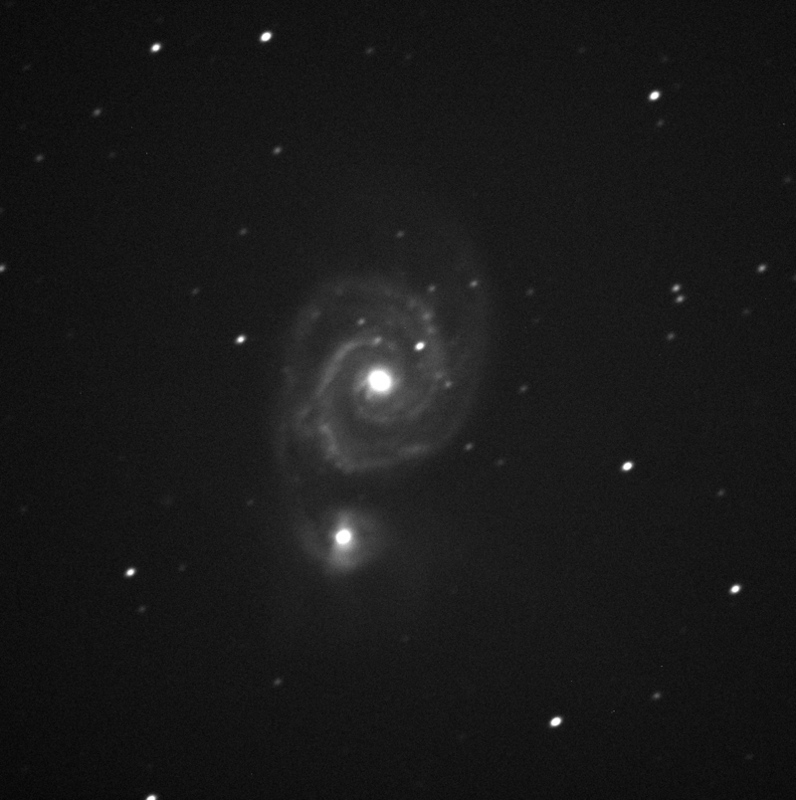 We imaged this twice and you can see the spiral arms detail in these photographs. Remember what we talked about ladies - galaxies are outside our solar system, so this was looking extremely far away, nearly 2.4 million light years distant! 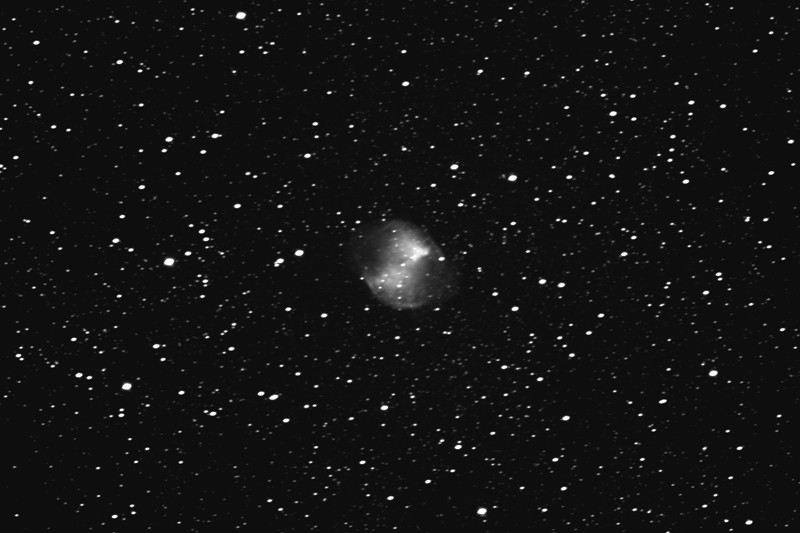 M27, The Dumbbell is a planetary nebula also known as the Hourglass and could well be the finest example of this type of object. This nebula is around 20,000 years old and we found it in the Constellation Vulpecula (The Fox). M51, the Whirlpool Galaxy, is in the Constellation Canis Venatici (KAY-neez veh-NAT-ih-sigh - The Hunting Dogs). This was the first galaxy where the spiral structure was observed. This three minute exposure by Elizabeth clearly indicates why this is known as the Whirlpool. M13, the Great Star Cluster in the Constellation Hercules. 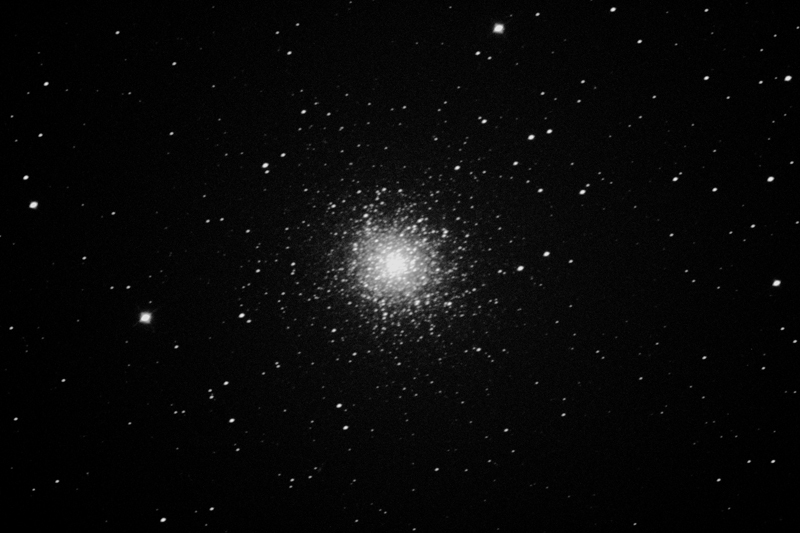 This is the finest globular cluster to be seen from our location and is thought to contain over 500,000 stars. Thanks for visiting our observatory ladies, I hope you had as much fun as Rob and I did!